It was a mild 2nd of November in the city of Manchester, UK. 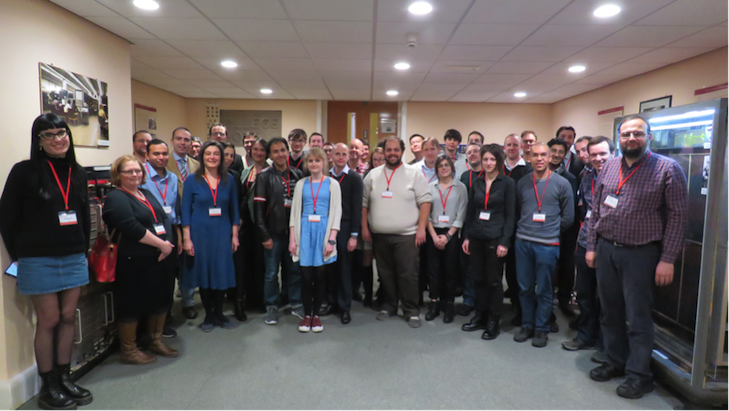 29 candidates and nine reviewers congregated in the Atlas rooms of the School of Computer Science at the University of Manchester to present their work, take part in discussions, network and be reviewed to see who would be chosen as an Institute Fellow 2017. Each candidate presented an introduction to their professional persona, what they do and what they would do as a fellow. They each had four minutes to present while the reviewers were speedily writing down notes and scores around the content and style of the presentation and the other candidates listened on attentively. There was some time for questions after the presentations. The focus on the ensuing discussions was on testing and the lack of recognition for spending time on ‘doing software correctly’ in the race to results and publication. The latter issue is a common theme in the workshops and discussions held at the various events run by the Institute and by the wider research software community. There is not a consistent emphasis on doing the computation properly as the results are what is currently being most valued with not enough importance being placed on the mechanisms. Another focus of candidate led discussions was the rise of container technologies (e.g. Docker) to allow lightweight (in terms of storage and memory) ways of packaging software to make it easier to re-run. There were also explorations around its use in HPC and best practice in this area; with container technology maturing it was stated that performance was very close to near native performance which should lower the barriers to adoption further. The use of containers was encouraging although people did wonder about the sustainability of particular container technologies themselves. The Institute is planning a workshop on current best practice and use cases of using Docker container technology (watch @SoftwareSaved or News) for an announcement in the coming months. Discussion sessions at the selection day give us an insight into the group and interaction skills of candidates. Candidates participate in two (ideally) non-overlapping groups with different reviewers observing. In each discussion group a chair was chosen to keep discussions on track, a scribe to write things down and, once a discussion topic was selected (suggestions were offered), the discussion groups were in full flow with reviewers melting into the background and observing how candidates interacted and who had the much sought after social personality which is seen as vital for a Fellow. The discussions generated some interesting and valuable insights. One group posited that we should replace the word ‘impact’ with ‘usefulness’. When discussing how to get institutions and funders to take software seriously, getting journals to value software and methods was seen as the real key. On computational training, the feeling was that the philosophy of good software should be provided early (e.g. at undergraduate level), be set with discipline specific examples but through an interdisciplinary focused unit at an institution rather that just at a departmental level. The groups also reached the conclusion that ‘digital’ is a literacy. MOOC’s were also seen as avenues to explore learning at an individual level. When discussing reproducibility, the consensus was that software isn’t the problem in research but that we need good documentation to be able to re-implement the idea, compare results and achieve reproducibility rather than merely re-running systems. Problems with diversity were highlighted: such as the fact that the proportion of male to female at each academic stage increases; a blog post on diversity matters from the selection day is being prepared from the group which led this discussion. Discussing common ‘myths’ in computing is a popular topic at workshops organised by the Institute, some persistent myths were highlighted in discussions; “It’s just for me, I don’t need to do it 'right' as I'm the only one who will use it.” or put another away “your software should not be a private love letter to the hardware but fit for public consumption” and the need to stop reinventing the wheel, use published libraries, accept you won't have control of everything was also highlighted. In the discussion on incentivising good software practice, it was noted that there are no bad languages, just bad practice. In terms of interdisciplinarity (harkening back to the point on ideal training centres), it was stated that software itself can act as a bridge between vocabularies, method and thus disciplines. With a long lunch break and ample coffee time, there was plenty of time for conversations and networking; many people were making connections, and comments at the end of the day suggested people had a valuable day whether or not they made it as Fellows. The hopefuls made their way home. It was a short 10am to 5pm day but it felt like two days. The candidates will know on the 30th of November whether they made it or not as Fellows 2017. With many worthy candidates it was a tough task indeed for the reviewers to choose. For tweets from the day, please see the Storify. Who needs pie charts when you can have cake charts! 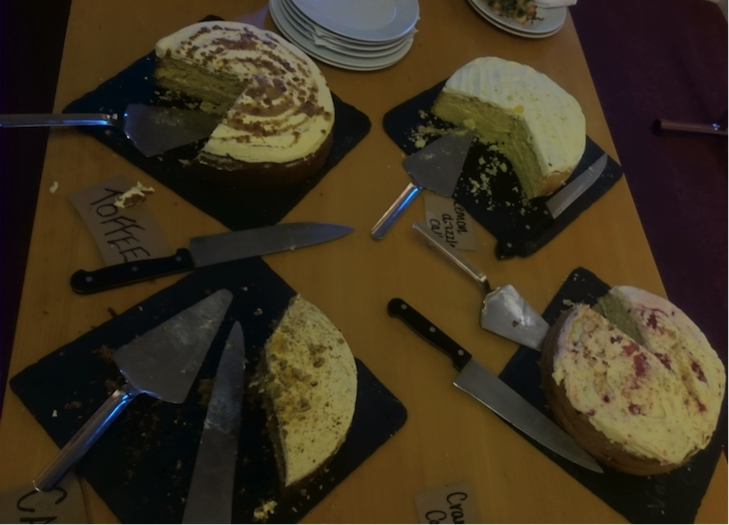 Carrot Cake was the clear winner! For the official announcement of the new Fellows check @SoftwareSaved and/or News on December 9th 2016. Whoever gets chosen, based on the candidates we saw at the Selection Day they will be an interesting and able bunch with innovative and potentially very impactful (or should that be useful?) plans for the research software communities and an ideal ambassadors for software.